Atlus has revealed that Zeno Clash: Ultimate Edition is set to launch on Xbox Live Arcade next month. 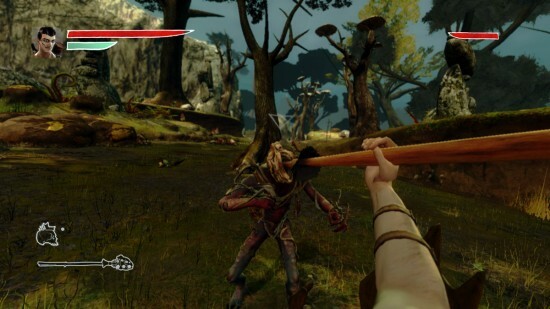 The game is a port of the independent PC title Zeno Clash which launched in April of last year. The game is actually a first person shooter brawler, something a bit like Mirror's Edge. Aeropause recently got to check out the latest build of the game, and with it, some new details of the game's co-op mode. The big addition for Xbox 360 owners that was not available in the PC version of Zeno Clash, is the ability to do Tower Challenges in cooperative play. In Tower Challenge mode, you and a friend can take on one of five Tower Challenges, each of which,hosts multiple levels for you to battle your way through. Each level will play host to a variety of creatures, that you have to clear out before a stairwell drops down from the ceiling, allowing you and a possible teammate to advance to the next level of the Challenge. Yes, Tower Challenges existed in the PC version, but the added dimension of a second player controlled character brings new strategy to this gameplay mode. Unfortunately, it looks like there is no customization available for this mode, so the two characters from the main story are the characters that you will play in co-op. Sounds like it could be quite fun, if not, something unique for co-op gamers. Zeno Clash: Ultimate Edition is set to release on March 31st on Xbox Live Arcade.